The count of the number of registrations, which will take you to the organization. The name of the organization, which will take you to the online registration form. Only users with Admin role can run this summary report. 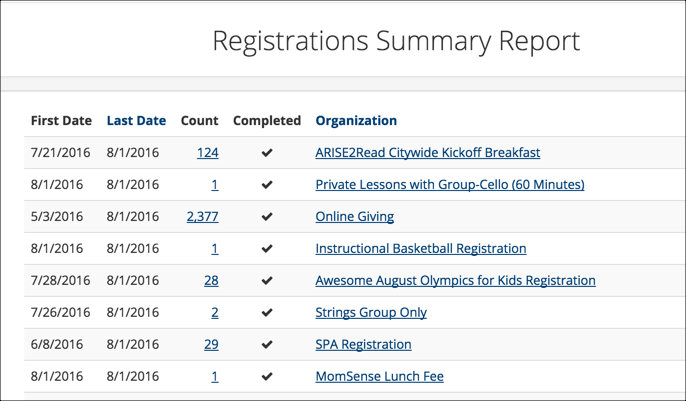 Go to Administration > Reports > Registration Summary . The report will open as a webpage.